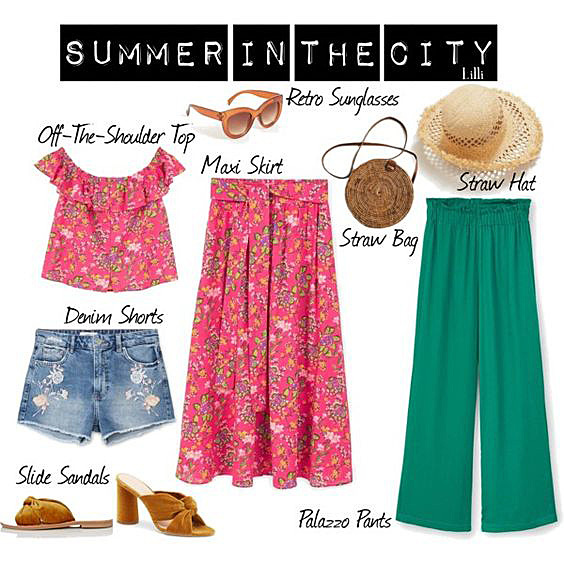 What's your go-to summer city look? Have a nice weekend and thanks for visiting! Nice selection! Love the combination of colors! Very nice combination:) Have a nice day! I'd pick the flowery top and matching skirt! Luckily the temperatures have gone a bit down where I live! I tuoi mix bohemien, insieme ai post boho su fb li adoro! Brava Lilli! Quelle borse di paglia tonde mi hanno rapito il cuore! Summertime - the best season of the year your me, with spring! I like to wear lightweight clothes and open shoes. Your selection is perfect for a summer in the city and I like the touch of boho. My favorite pieces is the green pants with th flower top. Hi Lilli, you are right. Wearing the right clothes for summer is tricky. Light weight and cotton are perfect. Love the colour and prints in your selection here. Enjoy the weekend!